Nikon has announced the development of the long-awaited replacement to its high resolution, full-frame D810: the D850. Nikon promises more information about the D850 at a later date. When that time comes, be sure to visit DPReview for all the details! I suspect it will be announced in September and be ready to ship by late October- early November, in time for the Holidays. No Photokina this year but the manufacturers will follow the same time frame, and I suspect there will be more than a few blockbuster announcements. The bottom apparently has been reached in camera sales so the manufacturers are feeling bullish. Hoping it will be ready for 'hands on' by Photo Expo in NYC. I know it won't be, but, what if it was mirrorless? "This powerful new FX-format digital SLR camera is engineered with..."
Nikon has announced that they are also working on a new super duper mirrorless. As a person who uses the 810 for everything, I'm very interested in the comments indicating 850 will be good for everything from landscape, Astro-photography, and sports. Which will make it the tool I need. Nikon's definition of everything is kind of limiting. What about videography, hiking trips, tethered shooting, drones, low profile (candid) shots? Nothing is stoping me from taking the 810 camping. Nothing is stop me from doing low profile candid shooting. 810 have had tethered capabilities and video capabilities. 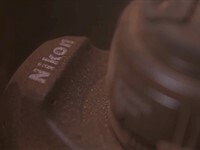 Nikon shot the accompanying video on an 850. As for drones? I suspect it will be capable if you have the drone. With a professional drone you can even use a Phase One, 850 would be easy compared to that as long as it has wifi which I'm sure it will have if Nikon has been following market trend. Obviously you never tested those capabilities in real life. I've shot the 810 in all sorts of conditions in all sorts of places. Video and tethering are not important to me. I could do without them. We don't know what the 850 specs will be upon release. But I would like to control it with my iPad. However you are confirming my points. Like I said: I use my 810 hiking, for street photography, candid photography etc. Works fine for me. If it doesn't seem suitable for you that is your opinion. No I haven't used the 850 for anything, never said I did. I have used the 810 video capabilities a number of times, I just don't care about them. But they were fine for my purposes. Whether or not the 850 will meet you needs for video, hiking, candid shots is really your opinion. Which obviously you really can't form yet since you haven't tried it. Whether it is suitable for drone usage remains to be seen, and their again it may be a matter of opinion. Your reality is obviously different from mine. Maybe, I was 50% right if it's an hybrid viewfinder? We'll have to wait and see! Seems like more info Is being leaked. Even photos showing no built in flash. Can't wait to see the final product.... I dread the final price..
i guess i was 100% wrong. I knew this much from nikonrumors, the name. At this stage in the development I'm sure they have the hardware and the specs, so why would they not realease them ? Panic, doubt ? Will they get round to making it or will they decide that "it doesn't make sense to manufacture it in the current market situation" ?? Nikon is so lucky that the 6Dmk2 doesn't have two cards and it's a dud, cause I would have dropped my nikon gear like it's hot. This is a preemtive marketing move to stop people from bleeding over to Sony or to keep customers in the Nikon system longer. It's not good. Nikon is in poor financial shape and while this will probably be a great camera, they are in survival mode. Within a few years they will be acquired and their brand and products will be milked well over the long run. There better not be oil on the shutter mechanism! I'd be more concerned about the shutter mechanism failing for no particular reason, a la D750. a la the 750? You mean, yeah it's an issue, but it barely ever occurs? Wanting to speak badly about Nikon is not always right, there are historic highs and lows. But we must always be grateful to the yellow house for the joy it has given us since the times of F, F2 and F3, and also of the gorgeous Nikkormat! Judging by the posts over here, 99% of you are a bunch of assisted sissies and compulsive tech consumers. Too much sarcasm and hate over a serious brands, always pointing the flaws and never happy. Are you paid to be like that ? Lame. They work cheap. They can't do anything else. Most of them are probably still living with their mommy anyway. Was that spots on the time lapse ??? Congratulations Nikon to your 100th anniversary! You released the D70(s) when I was tired of annoying point&shoot digital cameras, the D90 with video when my first child was born and then the fabulous D500 just in time when I was looking for a new camera that excels available light, has better AF and gives me more control! Wishing you that the D850 will become for full frame what the D500 is for APS-C: spectacular! The video states that it was shot with the D850. If so, the camera is probabably ready for an actual announcement. Nikon is just teasing us. Sounds like D850 is delayed and this pre announcement is a cover up. Either way a healthy company wouldn't pre announce two different product development in one month (this & mirrorless cam). "Promises a 8K time-lapse function"
You can create these with a D800 that dates back to 2012. Ok, not in camera. But you are better off doing this in post anyway. You can always upscale a bit; nobody will notice or complain. "You can always upscale a bit; nobody will notice or complain." A D800 can only do 7360 across, not enough for 8K. And it does matter. It needs at least 7680 or for true 8K, 8192, which is what the Red cameras are capable of. In Red speak, the D800 only does 7K. They do claim that the Hercules Rising video with the announcement was shot in 8K on an 850. So, on the day of Nikon's 100th anniversary we get... wait for it... a pre-announcement! Guess I'll have to make do with an embossed premium camera strap then. Let's face it, after the DL fiasco and a string of QA issues, I won't be holding my breath on the D850, nor pre-ordering one. Not saying the D850 will be a dud. Just saying that I will reserve judgement until the D850 is on the shelves and we've had a few field assessments in. I've owned Nikon DSLRs for over 10 years and, with the exception of a couple of dud D610s (must have been from the same batch) and a D800 with the left focus issue, they've been great cameras. My current D750 has been superb. However, Nikon have faultered very badly imo over recent years, the brand has been damaged and confidence in their products has taken a bashing. They NEED something special and we are still waiting. That's not the vibe I was getting from your original post. But thanks for the nuance. Why is everyone panicking about the possibility the D850 is not going to be what they dream about at night? I honestly do not understand the fuss. Ask any husband, if all you gave your wife on your anniversary was a card that said "I got you something AWESOME! ...I'll tell you more at a later date." ...you'd be in the dog house until that "later date" came. Happy 100th anniversary to you too, Nikon. I'm buying a Pentax K-1. Show us the receipt. Otherwise you are just like Nikon. So let me get this straight, you are changing brands over this announcement? that's what I did: buying a Pentax K-1 (switching from Canon), the best FF OVF DSLR camera ever made under 4.000 US$ (except for video and sports quick autofocus pictures). The only one including IBIS/SR with a so tonal richness and Iso Invariance. Great, what lenses are you be using it with, a couple of tamrons and some ancient screw driven pentaxes ? @nicolaiecostel I suspect he like anyone would only be concerned that the FL that allow them to take the pictures they want exist. I'm probably out of touch, but is needing to own hundreds of lenses a thing in Canon and Nikon land? Anyway, a good shot is not the result of the latest lens released but the maner you use your photo gear. And what HQ lenses will you be using on that kamera wiseguy ? I was being partly sarcastic. But, #1: I will not be buying a $3K Nikon body when a $2K alternative has more features for what I'm passionate about. (Astro-Landscapes) And, #2: I will probably always use a D750, or its successor, to shoot wedding jobs with, though. Haha, somebody got my humor!!! As others mentioned, a Nikon shooter is already no stranger to using old manual focus lenses with great success, and there are also lots of modern lenses that offer plenty of resolution even for the pixel-shifting 36 MP sensor. The old Takumars and modern Pentax "Limited" primes might not have the greatest corners, but for what I'd use the camera for, all the best lenses are available. For astro-landscapes, I'd get a couple Rokinon primes, the Pentax 15-30, and maybe the Sigma 35 Art. To each his own! I do mainly landscape and macro photography, I have a K-1 and the lenses I use the most are: zeiss 18/3.5, pentax FA 28/2.8 (sometimes inverted), FA 50/2.8 macro, DFA 100/2.8 macro and DA 200/2.8. For my use I can't see clearly better lenses around those focal lengths on canon, nikon or sony. If there are alternatives they are pricier and bulkier, and I would loose the in-body stabilization. The only lens I sometimes envy is the MP-E 65, but at the end of the day it can do nothing I can't with inverted 28 or 18, and on canon I would loose the possibility to invert lenses completely. Hope D850 is also lighter. I am not sure if a pre-announcement is a good idea. Remember when the second megapixel race kicked off and Canon pre-announced the 5Ds series months in advance? Then just before launch, Sony undercut them with the A7RII? Which one had a bigger impact? Sometimes it is better to play it close to the vest. Pre-announcements serve a few functions; 1. C0ck block the rumour sites and internal moles. 2. Stops any ship jumpers from jumping ship to another brand or 3a. Allows ships jumpers from other brands start selling their stuff. 4. It's cheap market research. Announce that it's being developed and then scour the forums and read what people actually want in a high mp DSLR vs telling us what we should want in a high mp DSLR. That is EXACTLY what Canon thought. It's 30 better than the D820, and 40 better than the D810. just waiting for the haters for there jaw to dropped when this comes out. all the fan boys. start talking. "there jaw to dropped " whaaaat? Who cares Nikon is something for those that love dinosaurs. Awww come on Nikon. Throw us a bone here. They just did. A dinosaur bone. This is quite an unusual announcement for Nikon. I smell panic following shrinking market share. Nikon is checking out if there is still demand for their cameras. Do they think a competitor is about to announce something big? They basically say - we are still in business and working on something. Not unusual. They also pre-announced the D5. Congratulations NIKON from the Netherlands! You are the best tool for the professional photographer! My question to you would be: How often do you use your F2 since 10 years? Bodies won't break by standing still in the shelf. vscd, bodies on shelf won't be in good health. As you should know mechanical instruments need to be exercised regularly with timely maintenance when needed to keep them in good shape. That's why people are wary of buying newer used, new in box gear which spend decade or more unopened never moved its components. Nah... that's not correct. This may be relevant for cars with a lot of fluids needed to work. My mechanical watch from the 19th century worked after 60 years of no movement and all my Hasselblad or Zenza Hardware is working aswell. Their central shutters are all time-correct. What I meant is that those old bodies will work for another 10 decades if they are used with *care*. Also my cheap $20 Chinon SR1 or Kodak Brownie is still working. That's nothing unusual. I guess this means they decided to skip the development of D820, D830, and D840 all together. Looks like after restructuring they have only one R&D team left to support all Nikon products, so by the time they get to the camera divison D850 release will be right on schedule. Nikon did similar release for their D700, went straight to D750. They honestly should fix it. IMO all camera companies have terrible naming systems, but Canon (DSLR) has it best... (or least worst). Sony A mount had it perfect, but they managed to completely ruin it with the E mount naming. No time space for more than one DSLR. D850 is the last. Mirror less is the future. Then there will be another last one, etc. Woo Hoo. In development. I know a certain monkey photographer that's taking a break from a heated copyright dispute to break open a bag of bananas tonight. "The next frontier in full-frame, high-resolution, high-speed digital SLR cameras"
Meanwhile, at the Sony camp: "LOL"
There is no next frontier in SLR cameras! They can load it with megapixels and specs but in reality it's just an inflation of a prehistoric technology. "features and performance enhancements that are a direct result of feedback from users" - a mirrorless FF camera, is what people want, not an ancient flapper stuffed with megapixels and flashy marketing tricks. Next year Sony will release the next "R" which is most likely to have the body, the battery, and the AF of A9; no af tuning needed, no blackout, no noisy shutter, gorgeous lenses etc. How will you compete with that, Nikon?! meanwhile at nikon " over heating issues? lmfao! 30 minute of video footage battery? lmfao! false advertising? lmfao!!! light mirrorless? lmfaoaoaoaooaoaoa!" meanwhile at Sony: "oil spills, light leaks, shutter shocks, battery recalls..." rofl. Digital 35mm is not fit for 72MP sensor. Pixeldensity is just too small for technically good images. If you want higher MP cameras with good IQ then go Medium Format. With 72MP you come close to phone size pixel density. No, 72mp fullframe resolution means about 31mp APS-C resolution what comes to pixel density. Samsung already made almost that kind of APS-C sensor (NX1), and this happened in year 2014...Also current 20mp m43 system sensor represents such a pixel density. meanwhile : sony laughing at you for buying there camera, lmfao! I think that if someone wants a mirrorless FF camera can happily look at the 7 models from sony, and if he wants a reflex he can look at the models from canon, nikon or pentax. Without laughing, normal people at least! It is worth wondering about why companies announce development. You have to have really low expectations to take this as a positive surprise. Everyone already knew there was a Nikon D810 update coming at some point in the future. Announcing it just one way to keep their customer base from getting impatient and buying something from a competitor. @Marty4650 It can have the opposite effect of making buyers stop buying the companies own products (D810, D750, etc.). It's called the Osborne Effect. It probably doesn't apply in this case since likely everyone knew, without this announcement, that a D810 replacement was due to drop this year. Nikon announced the development of their 1" compacts, then nothing happened. What a shame. Better luck this time I hope! You think the A9R will have a mechanical shutter frame rate (shooting 14 bit raw) of more than 4FPS? @HAR, mechanical shutters LoL, get with the program man!! Mechanical shutter? What about a steam engine?! Okay, you can settle for those 12 bit raws then, in a landscape camera. Don't know much about digital photo gear do you? A9R doesn't exist. R in Sony line is for high resolution. doing 20FPS full ES readout on a 42M sensor like they do on A9 without major penalty would require a completely new development. Those who need more that 4 fps for landscape shooting, well, they need to look elsewhere. The Sony A9 has already a 14bit electronic shutter. It just switches to 12bit at high frame rates. Given the regular disparagement of mechanical shutters and Nikon, you sarcasm is lost. Perhaps, the rules are ambiguous. And I've tried to induce at least different file sizes, couldn't, tell via that method. Why? The A9 has already a readout speed of 1/160. This is not far behind the 1/250 of a mechanical shutter. By the time Sony releases the A9 II electronic shutters should be faster than this, allowing higher flash sync speeds and less banding than even mechanical shutters. I think the A9 II will just come without mechanical shutter at all. 30FPS @12bit, 15FPS @14bit all electronic shutter something like this. Well mechanical shutters already have less digital noise than electronic shutters. There be a reason the E shutter on the A9 limits the ISO to 25600. I'm sure that some later A9 will have a better E shutter, and 14 bit raws when shooting E shutter. Mechanical shutters will still be better for higher ISOs. I'm going to hold a meeting at work tomorrow to let everyone know I'm planning on creating great stuff some time later this year, or next. Do it. It worked for POTUS. In fact, no one makes it greater! The CEO of Canon likes to hold the CEO of Nikon's hand. People don't realize that. Also, crooked Hillary ! That's what we should be discussing. I would laugh, but this is a normal occurence at corporations and govt agencies. Ok, they got low enough that they feel the need to announce that they're developing another camera, just so we don't think they gave up (yet). Somebody put them out of their misery already. To be fair, the D5 was also preceded with a development announcement. And the Olympus E-M1 II, and (crowd favorite in these parts) the Pentax K-1. It's not uncommon for forthcoming high-end models in off-season. I don't remember any of them being announced without any accompanying details, but maybe my memory is failing. Either way, it's all about the circumstances Barney. Wouldn't look as bad had they not already put themselves in a corner the past few years. As Barney says, its uncommon but not without precedent. and they just patented a future lens for a future camera with curved sensor... maybe for their 125th anniversary. Barney you guys are manufacturers suker. To be fair Nikon alson pre-announced the DL line, which got canceled. Man wake up, this is your job you are doing that all day. We don't need your opinion on a statement released by Nikon. Just try to right objective review and stay out of the comments part. Feels like this is going to be Nikon's last birthday, period. But will it be mirrorless?! "DEVELOPMENT OF DIGITAL SLR CAMERA..."
You can still make a mirrorless in a F Mount. Just get the distance right. Have a look at the Sigma Quattro body. For Nikon's 100th birthday you get an announcement of a future products name. Bravo Nikon!! If Nikon manages to produce a really good tool for work, all this talk will be forgotten: Photographers will love the camera and some might enjoy the idea that their camera stands in a long line of good cameras. i share the same thought. let that thing come out and we will see competition jaws dropping. To get 8k, just need to be a bit more MP (at least ~39.4MP) than current d810, but wonder how much Nikon will put on it?? Will it more than 50MP?? I doubt that since they'd likely be limited to Sony's existing sensor lineup. My guess is that they'll shave a bit off the top and focus on IQ. 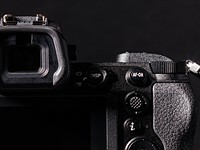 ie, if they what they did with the D750 on the D850, then it's likely that they'll reach their mark by delivering yet another unbeatable image sensor package. "limited to Sony's existing sensor lineup." That's a good one ... now why would that be? I think Nikon is just showing this to the financial analyst that they are not dying soon. May be this can keep their stock price to maintain for a while; but this is not the right strategy. It's probably a number of reasons and that could be one of them. And the iconic, most sluggish AF system in live view will be implemented? Does this mean the D850 will replace the D810 and D750? That would be a ridiculous power move. A true 5D competitor price/market-position wise with D810 successor features. Why do you hope the D850 replaces the D750, Rishi? 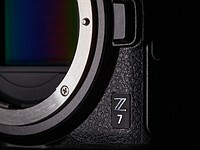 I don't want the high MP count of the 800 series, and I won't be able to afford the new camera if it comes at a $3k+ price point, so I don't know what I would replace my D750 with. Maybe the D750 killed too much pro-body market for Nikon and they decided to cut it? don't think the 850 would be replacing 750. the 700 series is another product line. Of course not. The D750 and D850 are separate target audiences. they should kill the D600 and Df! A D755 in the 2000€ price range will be needed. I want a 760, not a 850. I don't need 40 mpix. Give us a 760D with 24/28 mpix and even cleaner high ISO. Obviously, that's not going to happen, so don't take me seriously. prices will rise... for DSLR-technics - for cameras and for full frame lenses. mechanics will get insane expensive - even more then now. Looks smaller than D810, so it could be more compact. 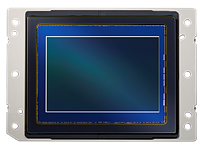 But people still like 24MP, seems like a sweet spot for many, so Nikon could actually have two D850s: one at 24Mp, faster, and the other at higher res (this one, likely), that would cover all uses and we would have finally the D700's replacement. They should have introduced this instead of the D7500. Nikon must have serious serious problems setting their priorities in their product management and marketing departments. @nikon - fuji and sony are eating your low end market... you wanted to concentrate so concentrate on getting pro gear into your pro buyers hands. Either there will be a slew of interesting pro announcements with _release dates_ and prices going into 2018 or I am done... only thing stopping me actively changing is the invested glass factor. New products not arriving fast enough for you? @Old Cameras - for me personally no. I have a list of lens I would like to purchase but was waiting to see what Nikon introduced either as a D810 or D750 replacement. So you have no idea what this camera is, or what it can do, but you're not impressed? The D7500 makes more commercial sense and was the right move. The D850 is likely to require quite a bit of development cost if the objectives are to be achieved. Are there sufficient returns to warrant the investment. @Barney Britton - I currently shoot with D4, D750 and D700. I have looked at the D810 and its nice and I would say the starting point for nextgen D8xx system. I do not require high fps. I need IQ with good high ISO in a pro body with fast D5 like AF. 2 card slots of same type. 36-50MP. Video is of zero interest for this cameras planned usage. I have taken a close look at the Fuji GFX series and am waiting to see what Sony will release with the a7r3. If the D850 would have been released today or at least full specs (must be known if its to appear in 2017) then I would it would be a comparision of the D850 vs. GFX (for the work I shoot) but waiting period without specs lets me look harder and longer at the competition. @barney I am not impressed with the time its taking and they should have tried releasing it instead of the D7500. The D850 or whatever is just a body but we have other lens/system purchases depending on which body. I hope that clarifies your question re. impressed. If you can't get good images with your current gear, new camera is not going to help you. @trungtran if you had taken the time to fully read my comments, my future plans and checked my portfolio it would be obvious i am getting the results i require for my customers and myself. it is always about what do i need to be better/increase customer reach/enter new market etc. etc. and thats why if nikon cannot deliver a body soon (for my timeline) i will either buy a secondhand/refurbished d810 or switch platforms... either way nikon as a company would make $0 on either of my decisions. Didn't we all knew that there is a another camera coming in D8xx series? Why bother? This is like a bad joke. Announcing the development of the D850? Are you kidding me? Nikon knew this anniversary was coming up 99 years ago. You'd think they could have coordinated a plan to have a product release ready instead of just an announcement. Calm down it is just a camera and you already have on of those right. Not kidding. It's easier and requires less resources than actually developing the product. What looks good? the plan? what next: announcement of announcement of development ? They did it for the D5 and released it just fine. It'll all be fine. You'll get your D810 replacement. And Olympus did it for the E-M1 II, and Pentax did it for the K-1. Everything will be OK.
Everythig will bei OK - as with the Nikon DL? Some people still don't believe the K-1 has really arrived. The K-1 was the mother of all the announcements! I am lucky to have one as I was born after the announcement! I think the ones taking pictures in the period when they announced the start of the development were already died on a world war or due to age! I hope that the D850 will have a faster development, or to live long enough to see it! As usual, great comments from dpreview staff. What has the timeline been between development announcement and product release before? This makes it sound like a D810 successor is a no go until at least late 2018 to me. July 25th is Nikon's official 100th anniversary. Today is the day so it makes sense to make this announcement. To be fair, I think Panasonic did the same thing with the GH5 (and possibly GH4). At the end of the day, we all know there will be successors to current camera models so why not just announce the camera when it's ready? This goes for all manufacturers. Canon has also done it for sure. To me, it sends a clear signal on how much they worry about their buyers and the competition. Well, I guess we all know the name for sure now. dont you like most of them having a 5 in the name? That would be neat for one generation only. What do you do next generation? More importantly what do you do 5 generations down? Ambitious goals, new challenges and looking ahead to 100 years of the Z mount – we spoke with senior executives and engineers at Nikon about what lies ahead. Take an inside look at the work that goes into testing Nikon cameras from drops, dust, water and debris. There were definitely cameras harmed in the making of this video. A teardown of a Nikon D850 has provided proof that the camera's sensor is made by Sony Semiconductor. The chip's design and performance already strongly supported this, but the confirmation also gives a hint about how the industry works.